The New Orleans-based sunglasses brand Krewe — heralded in Hollywood as a favorite of stars Beyonce and Gigi Hadid — is converting a Thalia Street warehouse into its global headquarters, but some Lower Garden District neighbors are worried about the owner’s evolving plans for an outdoor courtyard. Krewe was founded in 2013 by Stirling Barrett, a New Orleans native and Country Day alum whose photography won “Best in Show” in the Jazz Fest artists’ market the same year. Barrett’s sunglasses brand had a meteoric rise, with the Hollywood Reporter taking note of its popularity among celebrities in a 2016 profile. Krewe’s presence in New Orleans includes both its flagship retail store on Royal Street in the French Quarter, and an office and design studio in the 800 Common building in the Central Business District. 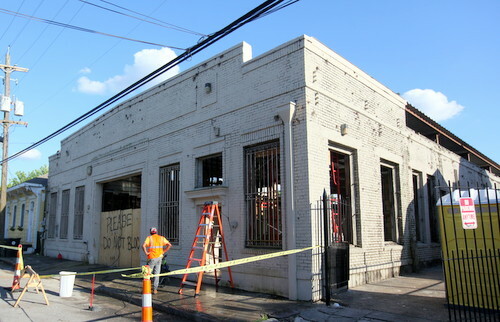 Now, Barrett plans to create a headquarters for Krewe’s design and distribution workers in an old warehouse at 1020 Thalia Street, just steps off Magazine Street in the Lower Garden District, as well as a second retail location with an optometrist’s office inside in the 1800 block of Magazine nearby. In addition to a mostly open-floor design area, the warehouse will be able to store half a million pairs of sunglasses for distribution around the world, Barrett said. Because his product’s interaction with the sun is so important to its design, the warehouse will also have an outdoor balcony as well as a private courtyard in the rear. The courtyard, as Barrett currently envisions it, has a pool, which he said is also important for his designers as well as for the building’s role as the headquarters of a global fashion brand. But it is also the focal point of concerns for a group of neighbors, who are worried the possibilities for the courtyard’s use within a heavily residential block. 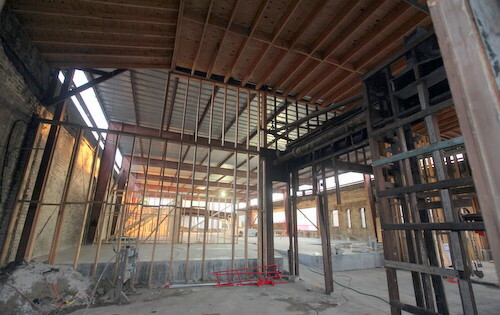 Barrett said he is still developing his vision for the courtyard and pool. During the day, he wants his designers to be able to hold meetings there and test the sunglasses they are crafting. He may also use it to host events for the brand’s new nonprofit foundation, which aims to provide fitted prescription glasses to public school students. 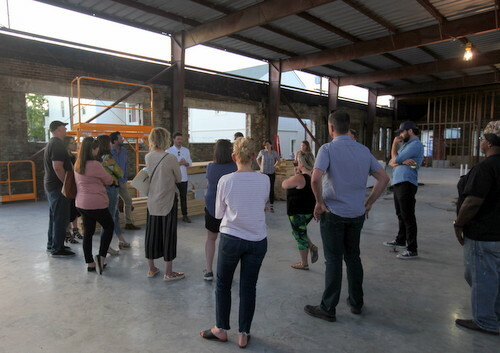 Neighbors said that broad range of possible uses — as well as the potential of some sort of “social club” designation for that space — have them concerned, as well as the fact that Barrett said he wants to move into the warehouse to determine exactly the best use for the courtyard. Many of the neighbors have developed historic properties themselves, and said they would be excited to see the building brought back to life by a successful local company. The lack of communication prior to Tuesday, coupled with the uncertainty about the actual design, however, makes it more difficult for them to support the project yet, they said. Some neighbors also said they were worried about the parking needs, but Barrett said that most of his employees do not drive, and prefer to walk, bicycle or take public transportation to work. For the forseeable future, he will also have access to a parking lot on Magazine associated with an adjacent mixed-use project being developed by Patrick Schindler, Barrett’s construction manager. The discussion with city permitting officials about how those choices will affect the building’s permitted uses are ongoing, Barrett said. But the courtyard is only a small part of the space, he said. Other neighbors said they worry about the future of the building, if Krewe grows out of it or leaves. A pool in the back would be appealing to a number of more intense uses, they said. Barrett said he is continuing to develop his plans for the space, and promised to provide future updates as that vision evolves. He also said he has committed to meeting with the full neighborhood association early in May, which will help create a better line of communication about how he can work with neighbors. As of now, the questions he is asking city planners about the social club are simply exploratory, and he is still developing his ideas, Barrett said.